MADWORLD Unboxing and MADWORLD Release Day Contest! One of the perks of the job is getting things just a bit earlier than everyone else, especially when you happened to have made the thing in question. So since the team at PlatinumGames got the jump on things – here is the retail package for the US version of MADWORLD in all it’s glory. Here is the DVD. It is black and white and red all over. And once you put it into your Wii, so will your TV. This manual instructs you on how to play the game. Someone smarter than myself decided it should be called the “Instruction Manual.” Go figure. 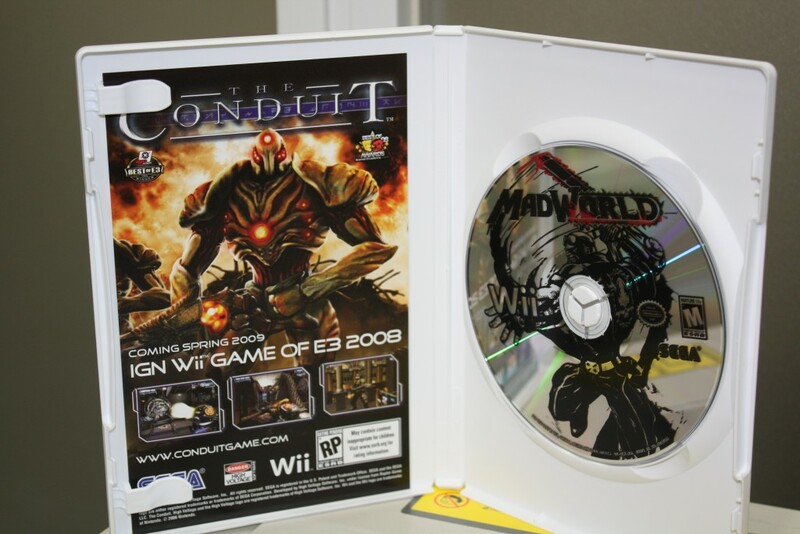 Also included in the box is a promo for The Conduit, another SEGA title from independent developer, High Voltage Software. Support independent developers! So, what is this release day contest you ask? Simple… Take your camera with you when you go buy MADWORLD. Take a picture or a video of you with the game, either in the act of purchasing or after you have purchased. Just like kills in MADWORLD, the more elaborate the picture, the better your chances of winning. Multiple people in the photo is a good start. Making it black, white, and red – even better. Get creative, get original. Once you are done, post a link to the photo or video here in the comments. Make sure to fill in the email address field or we can’t contact you if you win. 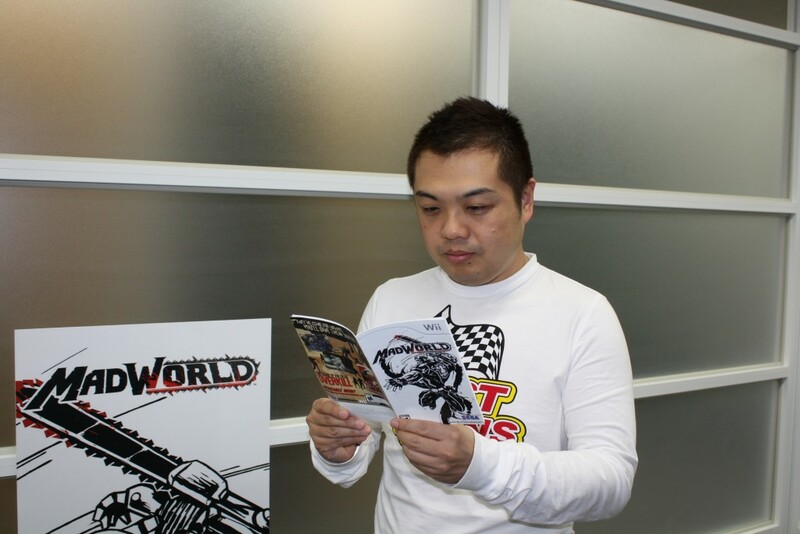 Once MADWORLD is available worldwide, the team will check all the pictures and videos, select some winners and dole out some prizes. What we are giving out isn’t decided, but I can guarantee two things – 1) It will be cool. 2) It will be signed. Now here is the fine print – You need to have your entries in by the March 28. By posting your link, you give us permission to use your photo or video on this site. We will probably add it to Flickr, and we might even use it in a podcast. 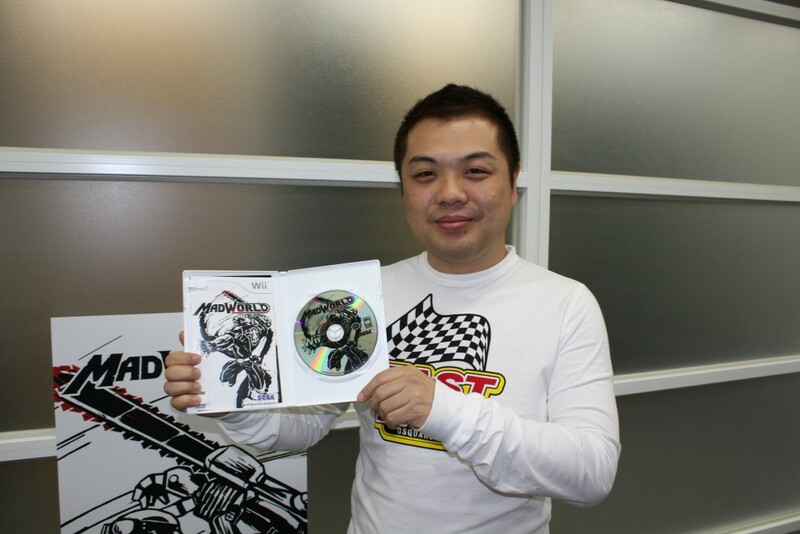 You also give permission to SEGA to use these photos as well. Winners will be notified by email and announced via this very blog. 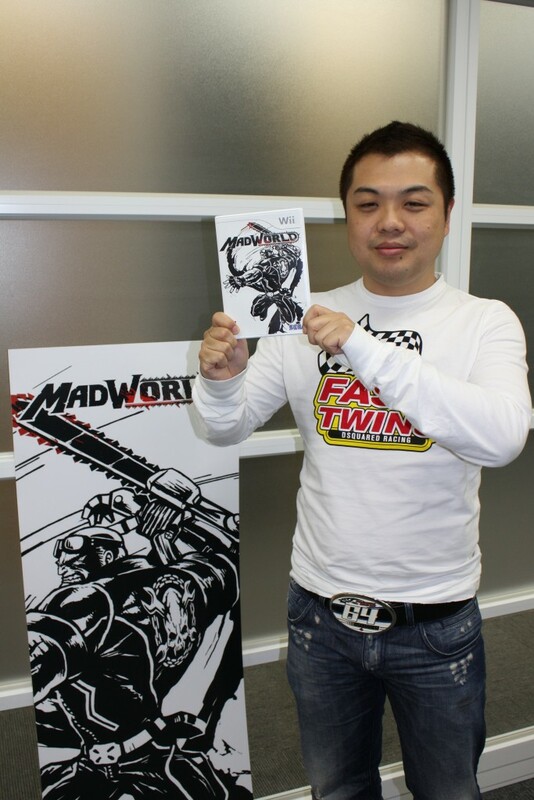 This is your chance to show the team how excited you are to have MADWORLD in your hands! Good luck!